Want to know the trick to eating salads twice a day for a month? Lots and lots of interesting dressings. It’s pretty amazing that even on the 18th day of my cleanse, I still get pretty excited to eat a salad for the first course of every single lunch and dinner. Of course it doesn’t hurt when you have gorgeous, local Ho Farms cherry tomatoes and cucumbers topping each salad. In terms of dressings, so far there’s been lemon tahini, creamy Asian, cilantro vinaigrette, cranberry-walnut, and then this here carrot miso. I first heard about it from Deb, who’d been inspired by Gwyneth, who got the recipe from Cleanse specialist Dr. Alejandro Junger. Was that convoluted enough for you? Anyways, I made a bunch of tweaks, as I’ve been known to do, and just added the dressing to my everyday salad. I’m generally of the impression that the combination of carrot and ginger can do no wrong (for evidence see here, here and here), and this was no exception. For those of you who are looking for a more substantial salad, avocado would make a lovely addition. 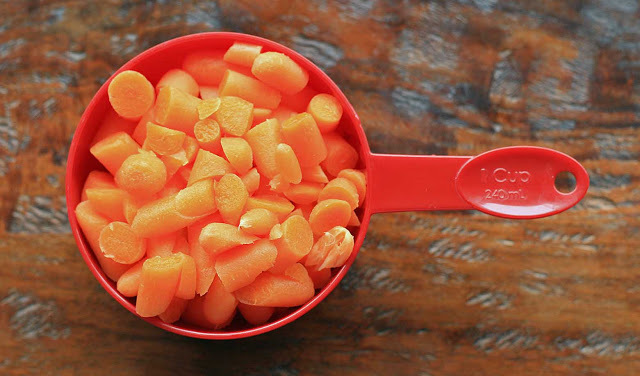 To make the dressing combine the carrots, shallot, ginger, miso, rice vinegar and sesame oil in a blender. Process until nearly smooth and then slowly add the oil. Continue to process until smooth and then add the water, one Tablespoon at a time, until the dressing has reached your desired consistency. 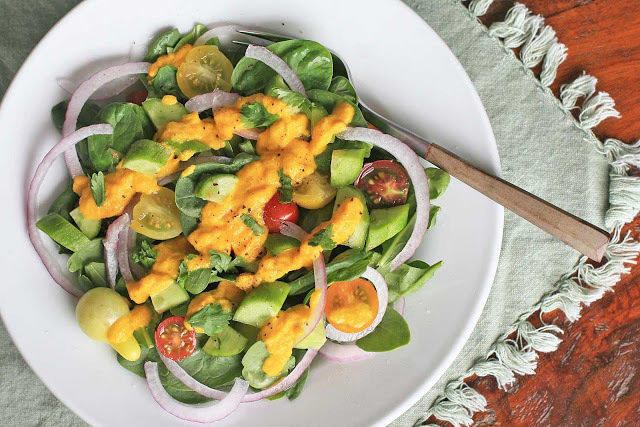 To make the salad combine the spinach, red onion, tomatoes and cucumbers in a large bowl. Drizzle with carrot miso dressing and top with chopped cilantro. Add freshly ground salt and pepper to taste.